Welcome to MagnoliaPlace farms. 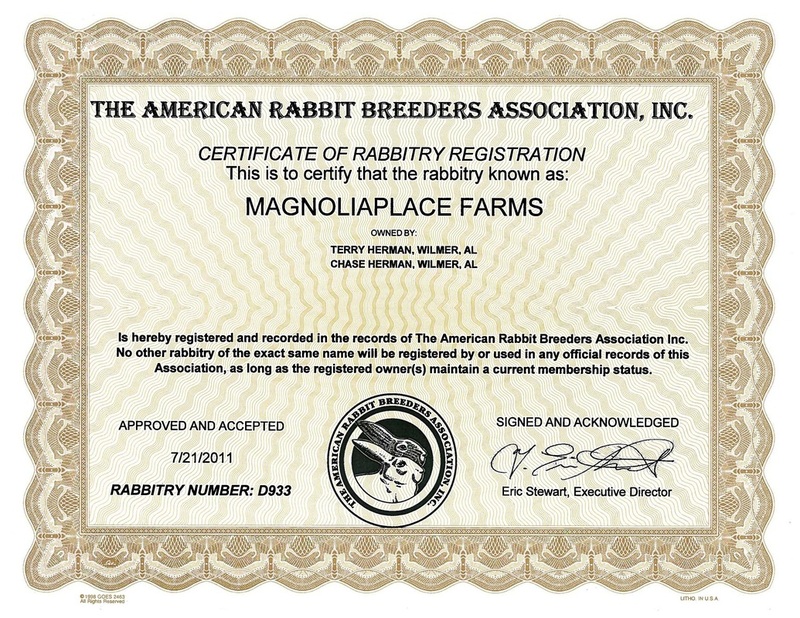 We are a small rabbitry located in Tanner Williams AL. Chase shows exclusively Holland Lops in Youth competition. We are members of ARBA, HLRSC, 4H.